Lots of users experience issues with their meshes. 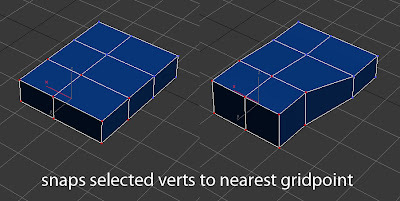 This script provides a convenient way to do all of the common mesh-fixing steps. Reset Object - creates a new box object and attaches the existing mesh to it, then deletes the temporary box.. This essentially wipes all object properties. material, wire colour and pivot are all retained. 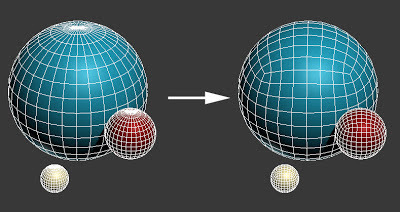 New Scene - exports the selected geometry, creates a new scene and imports it again. deletes the FBX file when done. ContinueScript = queryBox "This will create a new scene and only copy across geometry. Unsaved changes will be lost. Continue?" exportpath = maxfilepath + maxfilename + ".FBX"
--actionMan.executeAction 0 "40005" -- reset scene -switch this out for above line if you want to keep materials etc. this is essentially less aggressive. 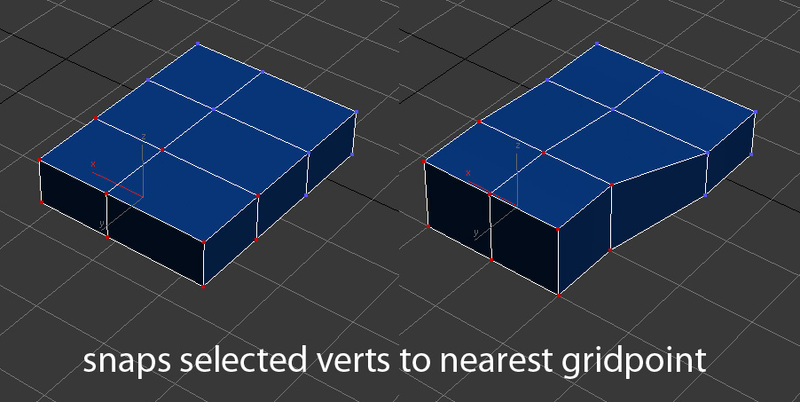 By request, a script to move selected vertices to the nearest gridpoint. I also threw in snapping selected objects to nearest gridpoint. Thought I'd show in video what the scripts posted up to now do. Also I've whacked them all in a zip if you want to use them as buttons in your interface. 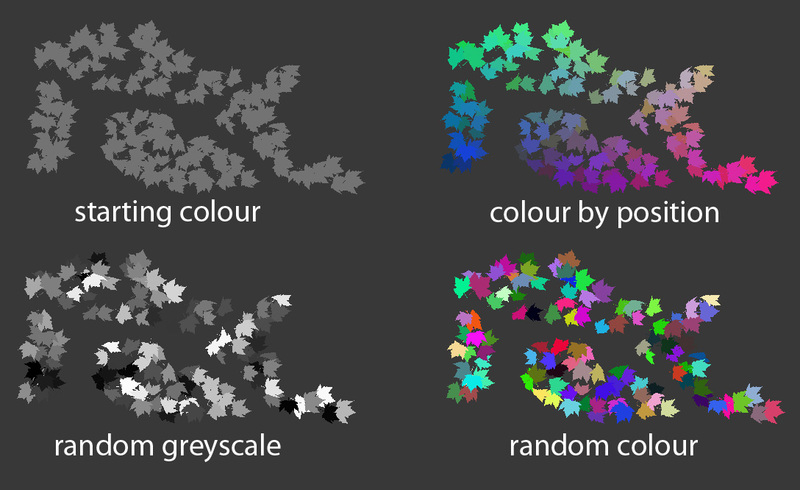 I needed a script that would give a random colour to my leaves and also give a colour to them based on height so that I could use this to make the leaves at the back disappear first in autumn. I needed this to give an even distribution of colours, so introduced a new method which sorts based on position, then assigns a colour based on sort order. slightly long-winded code, sorry! -- Removes material from objects and applies a random colour, or colour based on their position. useposcolour = true --if false, uses a random colour. 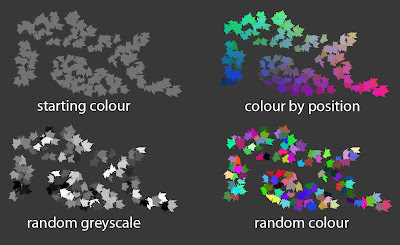 sortbasedcolouring = false -- if true, sorts objects then colours based on sort order. ensures even distribution of colours and no matching colours. --optionally, use this to greyscale. A common problem when using things like object paint and scatter are intersecting objects - many of your objects cutting through one another. delete the selection, or rotate or scale them or whatever fix is most appropriate. Intersection detection is simple bounding box intersection. Therefore does not work particularly well if bounding box is not a good fit for the object. If I have cause, I'll introduce a sphere/squashed-sphere based intersection detection at a later date. 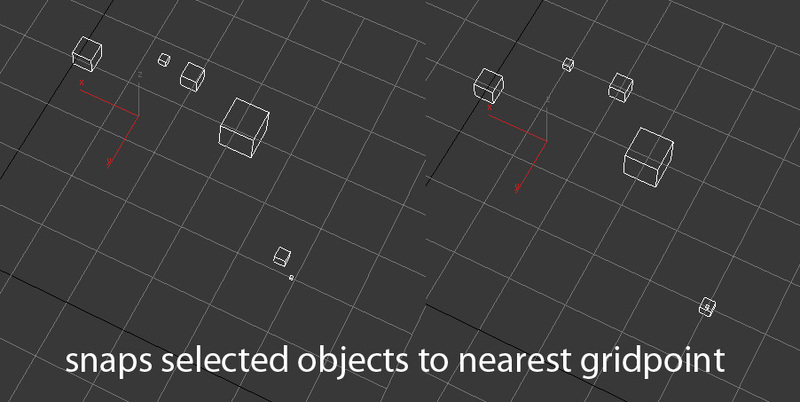 -- selects objects which intersect one another by performing overlapping bounding box detection. optional adjustment for bounding box downscaling. --delete the selection, or rotate or scale them or whatever fix is most appropriate. 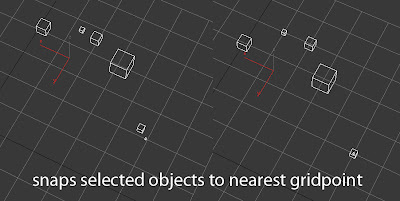 If you want to increase or reduce the distance between objects. introduced selection lock and other measures to reduce chance of "user error"
I typically use two viewport settings: 1 default light with no shadows/AO, and scene lights with shadows/AO. And I always disable gamma/LUT correction. This script helps me set that up really quickly, and switch between the two. -- toggles between default lights, no shadows and scene lights. also disables gamma/LUT and hides/shows cameras and lights. Simple one for attaching objects together based on your selection. A student had scattered many duplicates of two types of objects and attached them together to one editable poly. He needed to select type A, which had a different number of faces to type B.
SimilarityTolerance = 0.005 -- higher tolerance selects more objects which are not quite so similar. must be less than 1. FindByMaxSelectSimilar = false -- false by defualt because this gets lots of stuff which isnt necessarily similar. -- we havent seen this face before. --print "found a matching element"
DeleteObject = true -- should the selected object(s) be deleted? A little time-saver for resetting Xform and collapsing the stack. You want a button to do any/all the above! if DoResetXform is true, objects will have their XForms reset. -- little time-saver for resetting Xform and collapsing stack. -- if DoResetXform is true, objects will have their XForms reset. -- Centers pivot. if run again, will bottom-center pivot. 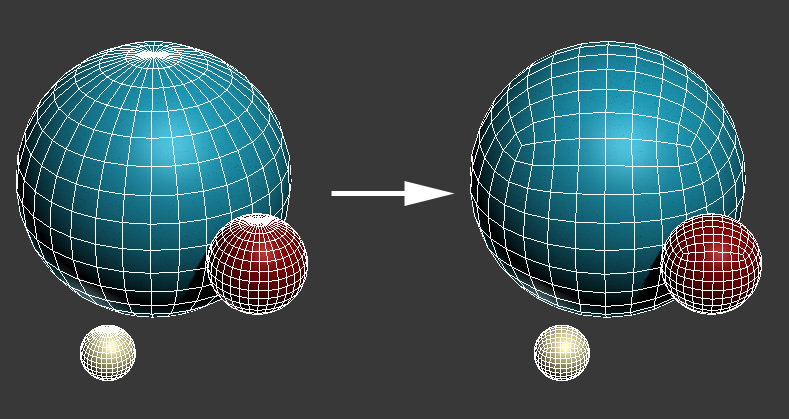 -- applies a flatten-map unwrap to selected objects, then collapses them down to editable poly. Will not work on "edit poly" modifier. needs to be a collapsed editable poly. fbx files will be found in directory of max file in the folder "fbx"
Update: now supports one collision object per model, prefixed "UCX_"
-- exports each object in your selection on its own. -- fbx files will be found in directory of max file in the folder "fbx"
filepath = maxfilepath + "fbx\\"
exportpath = maxfilepath + "fbx\\" + obj.name + ".FBX"